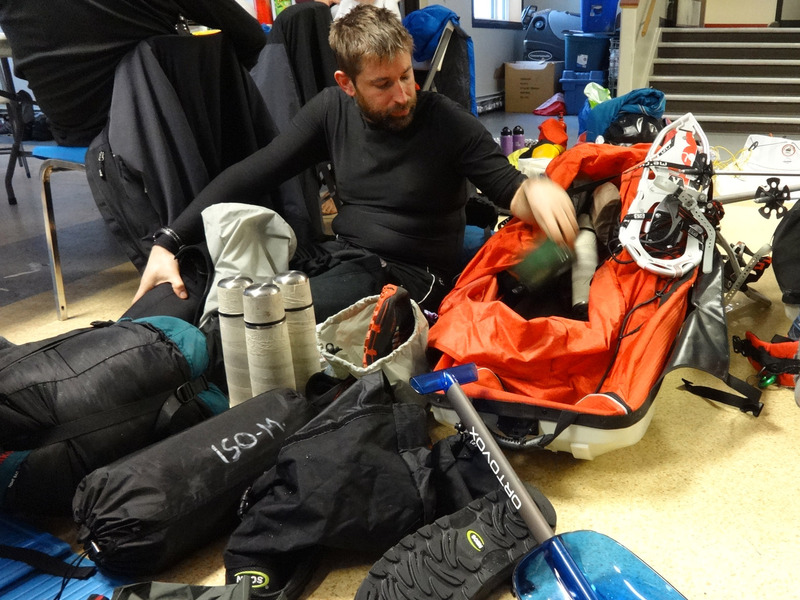 The Yukon Arctic Ultra 2015 ended a few weeks ago. 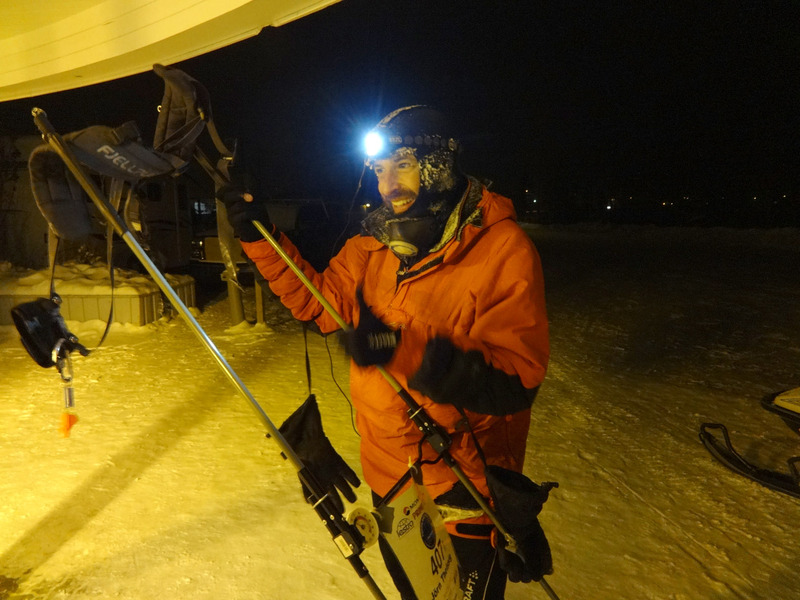 Study participant Hanno Heiss reached the finish in Dawson (430mi) after just 9 days and 9 hours! 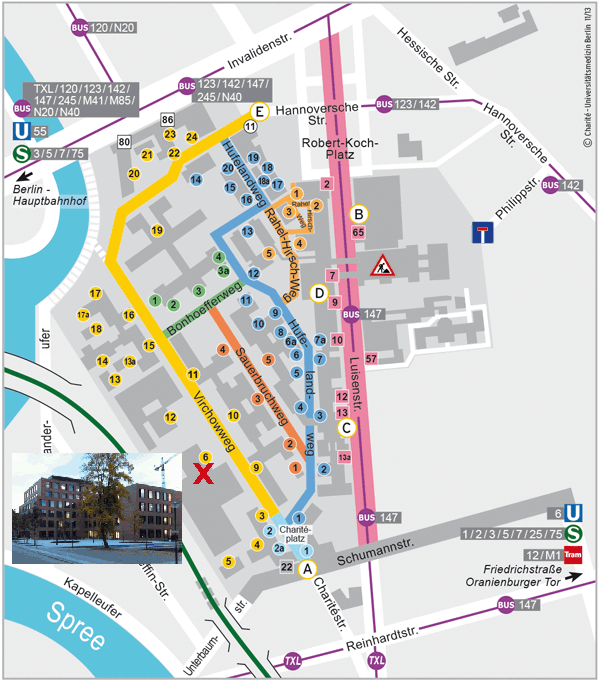 In total, complete measurement-sets from four participants and in part from additional two could be collected – which is good considering the extremely harsh conditions during the beginning of this years race. 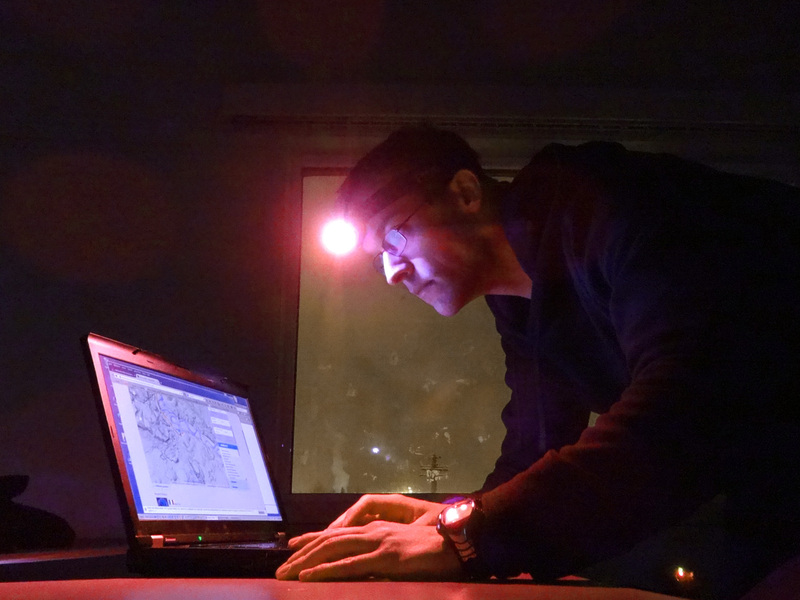 Evaluation of data will be conducted during the next days and weeks. 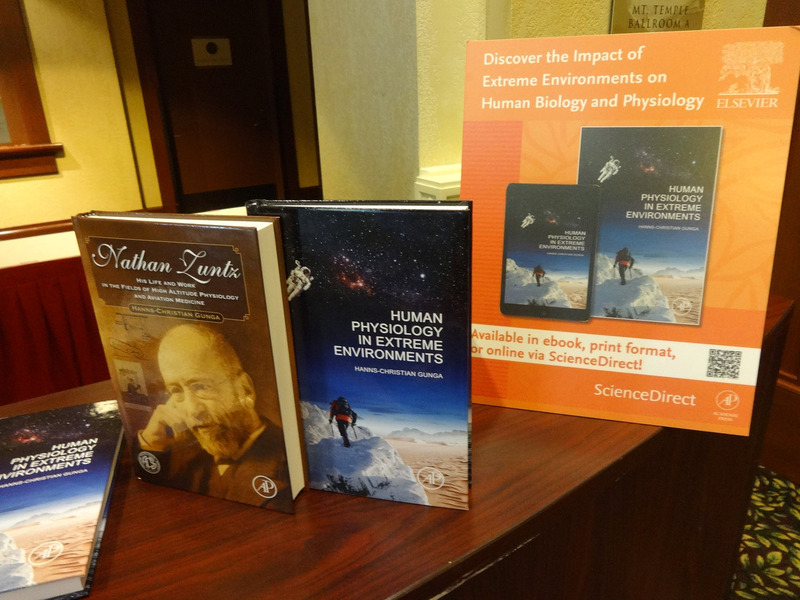 After the Yukon Arctic Ultra was over Dr. Steinach went to Lake Louise near Calgary and attended the “Hypoxia-Meeting” there where he also introduced the study-groups new book “Human Physiology in Extreme Environments”. 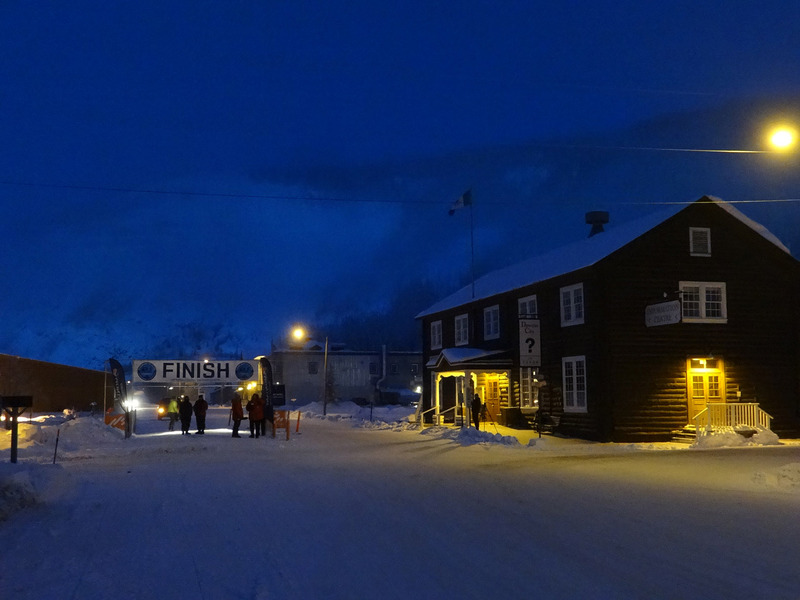 The 430-mile finish in Dawson City. 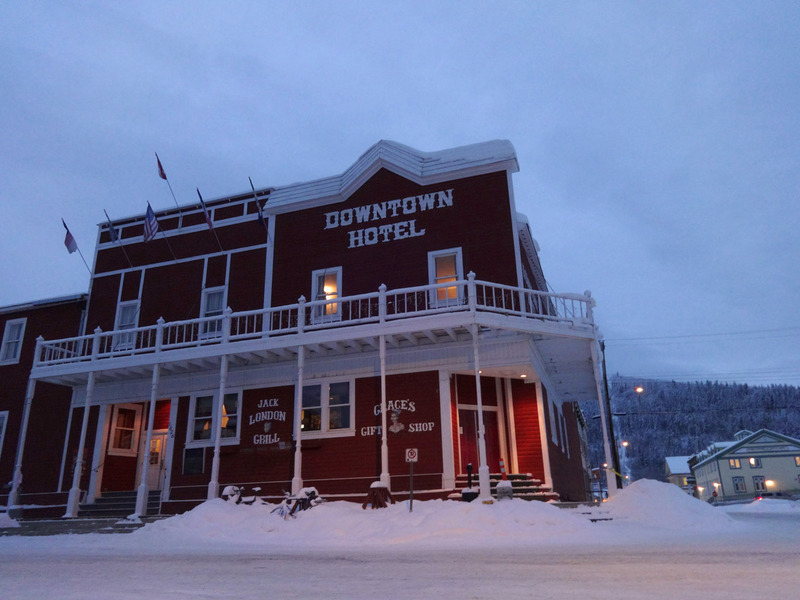 The “Downtown Hotel” in vintage Dawson City architectural style. 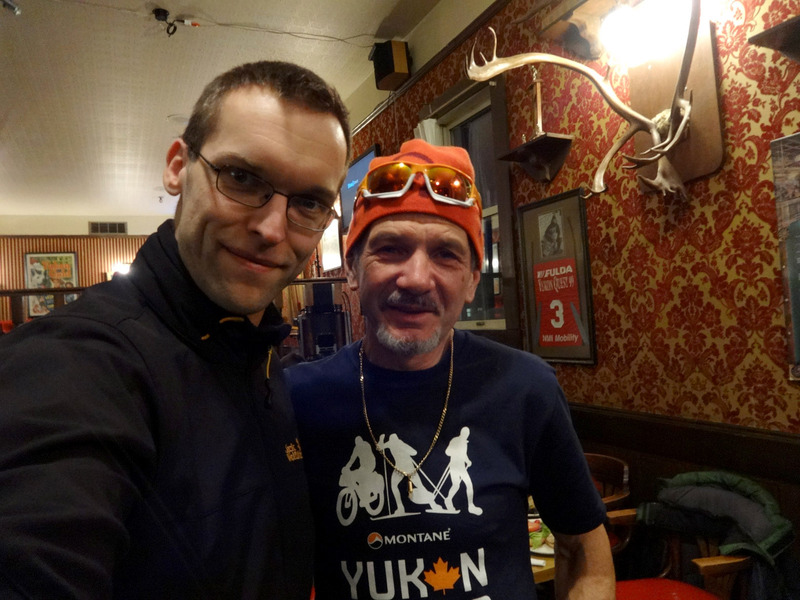 Dr. Steinach and Enrico Ghidoni: multi-time winner of the Yukon Arctic Ultra. Study participant Hanno Heiss finishing first in the foot-category (left). 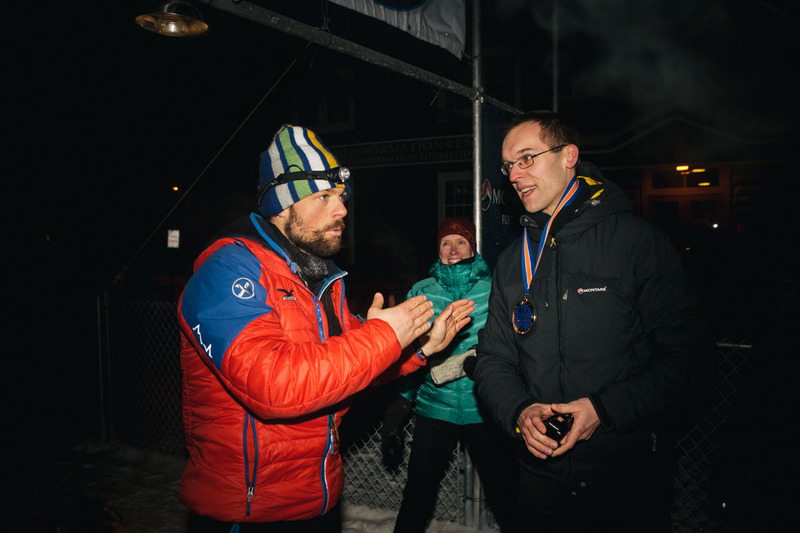 Hanno hands over his medal to a humbled Dr. Steinach in appreciation for his medical advice and treatment during the race. Dr. Steinach being interviewed during the race by a team from Al-Jazeera Canada. A short excerpt of the interview can be found here. 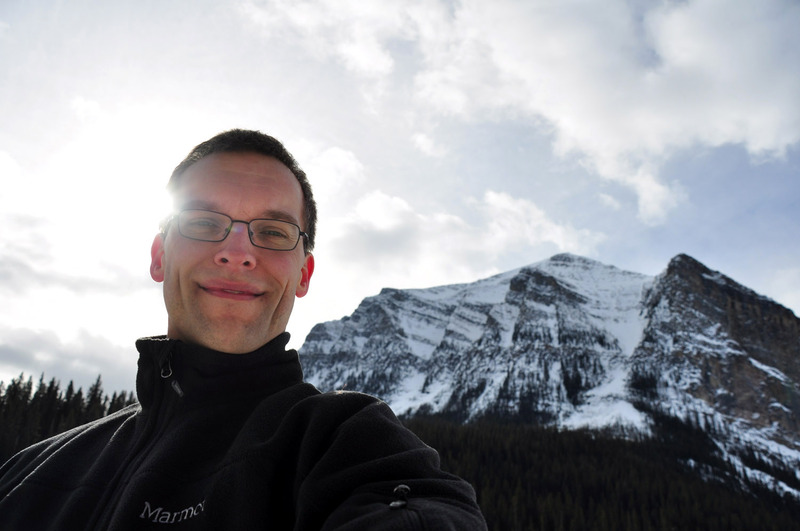 Dr. Steinach in scenic Lake Louise, Alberta. 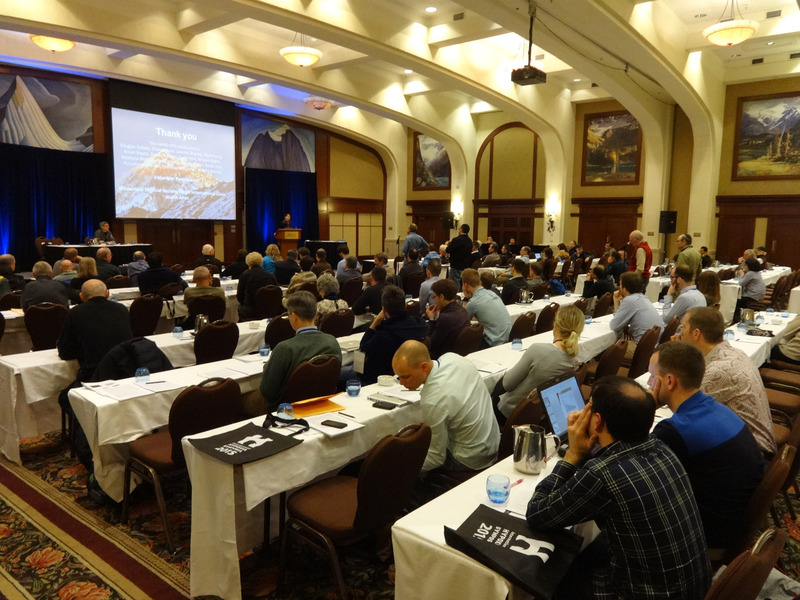 The Hypoxia-meeting in Lake Louise 2015. The study-group’s recently published book at the Hypoxia-meeting. 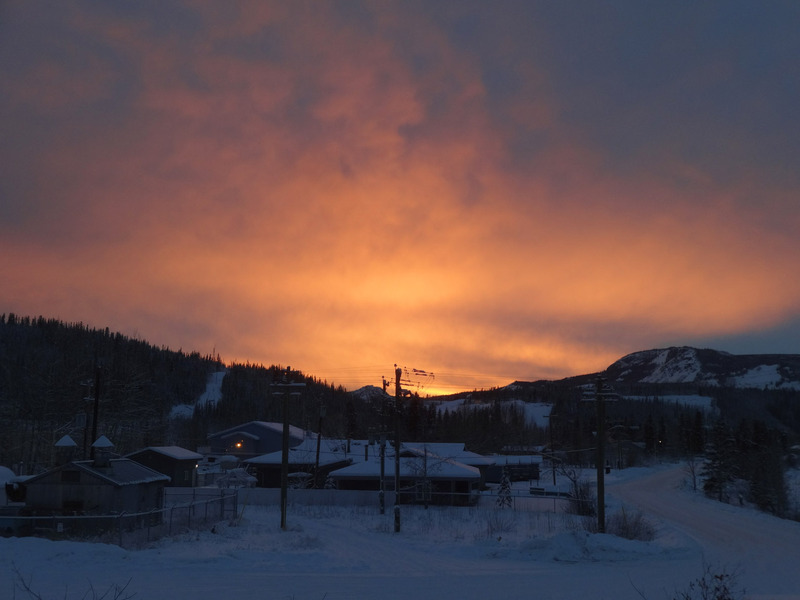 The final stage of this years Yukon Arctic Ultra is being reached as the runners are on their way to the last checkpoints before the finish in Dawson City. 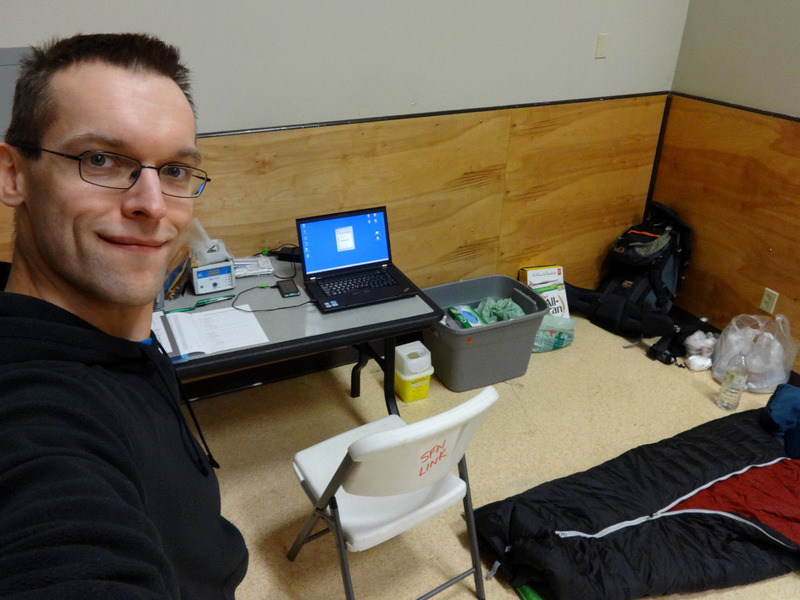 Although a few more runners had to scratch it was possible to perform measurements and obtain blood samples at 230 mi and 300 mi checkpoints respectively. 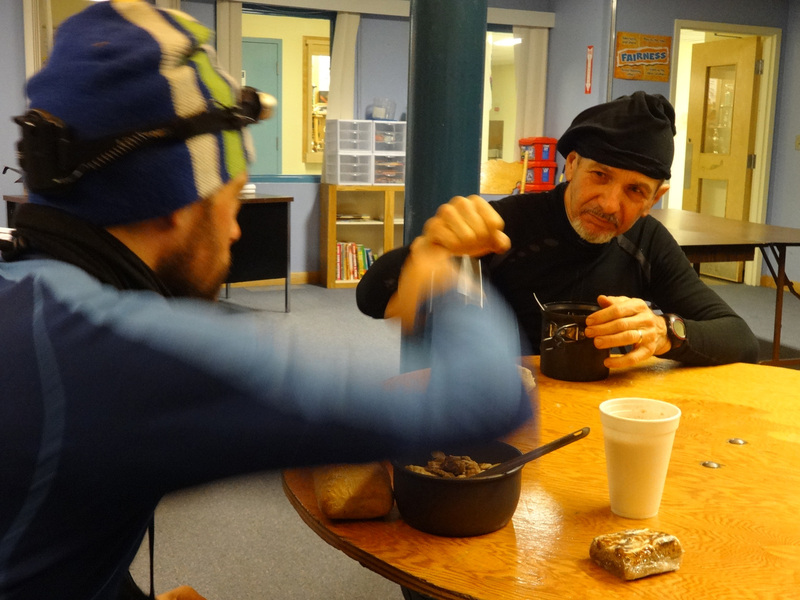 Now three runners remain on their way to Dawson – the 430 mile finish. Hanno leaves Pelly Crossing for his final stage. 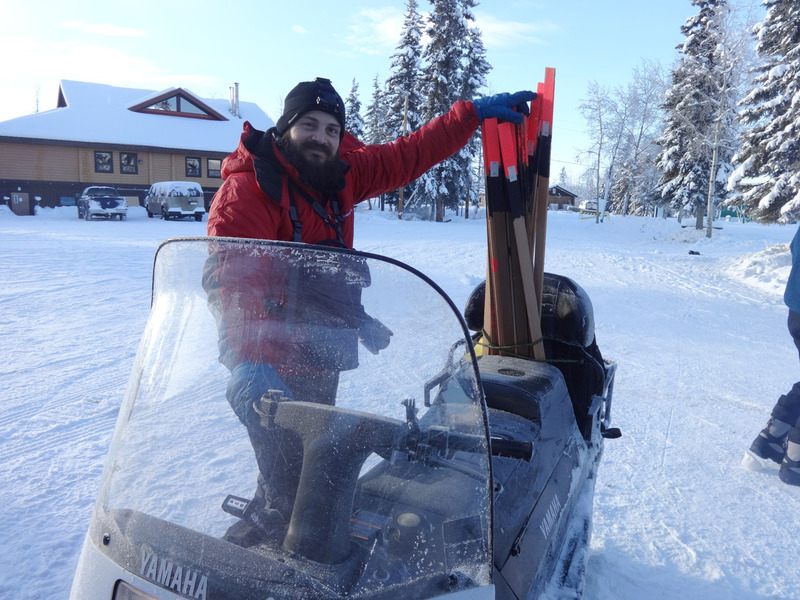 Trail-markers are continuously checked and replaced by skidoo-drivers – photographer Yann is happy to fill in. Jörn trying to find order in the haphazardly scattered equipment. 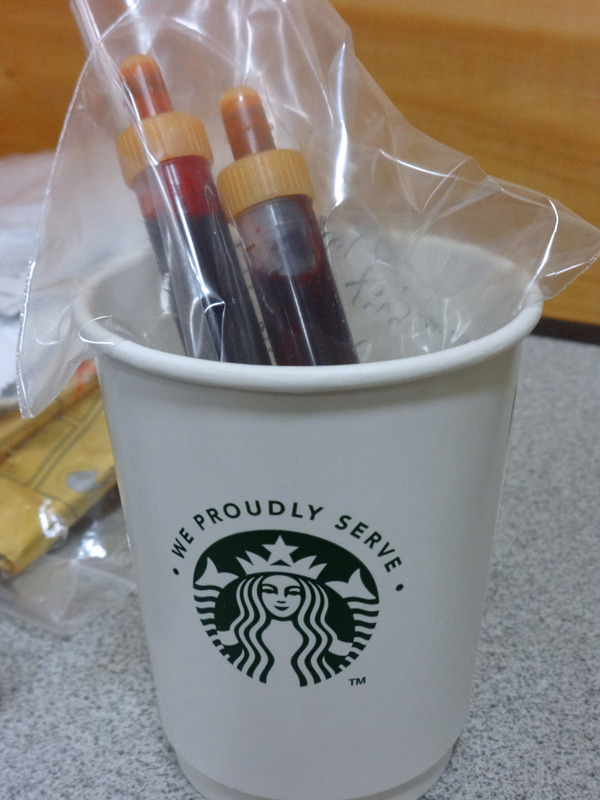 Desperate circumstances sometimes require desperate – coffee-cups. 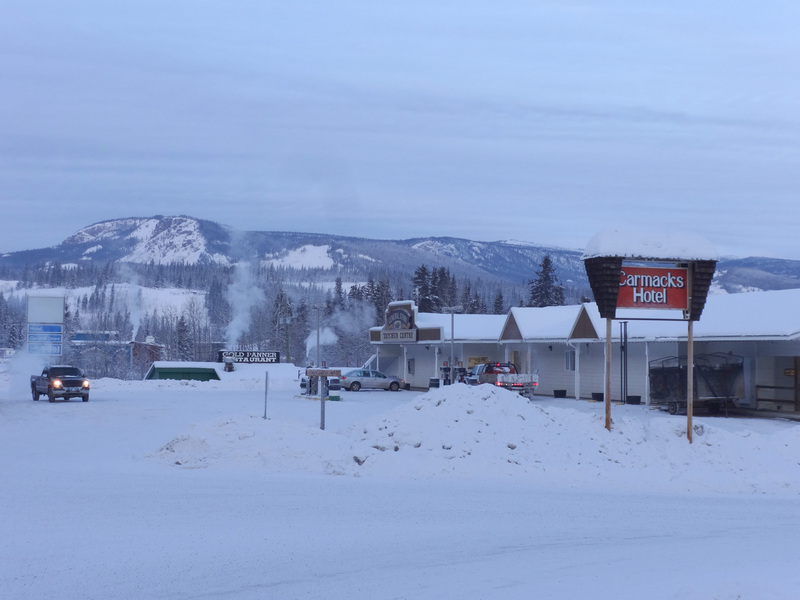 The final stretch towards Dawson City. 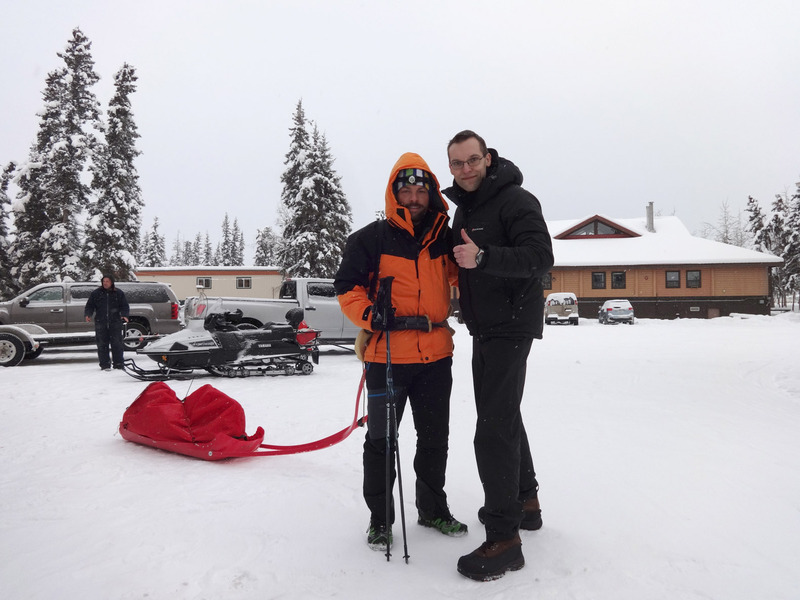 Now checkpoint Pelly Crossing has been reached, marking the 300 miles of the Yukon Arctic Ultra. 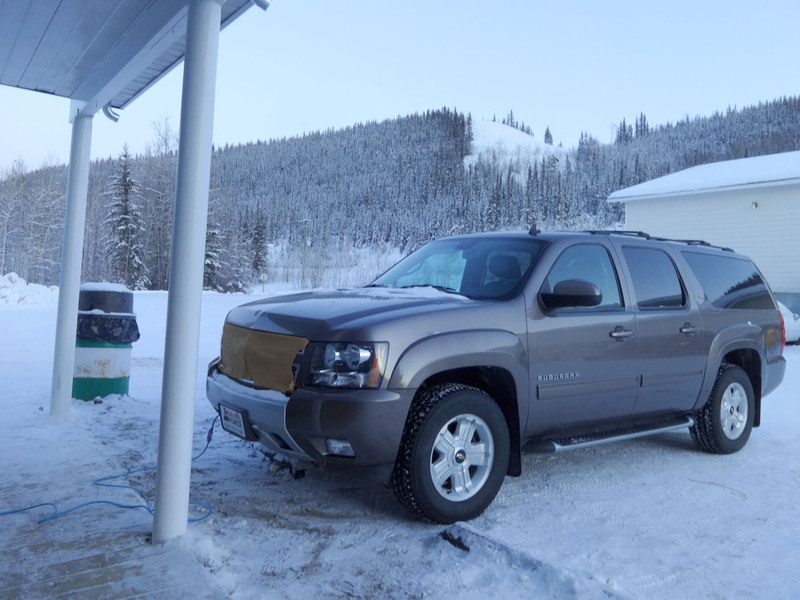 Temperatures have risen considerably in the Yukon up to -15°C (5°F). 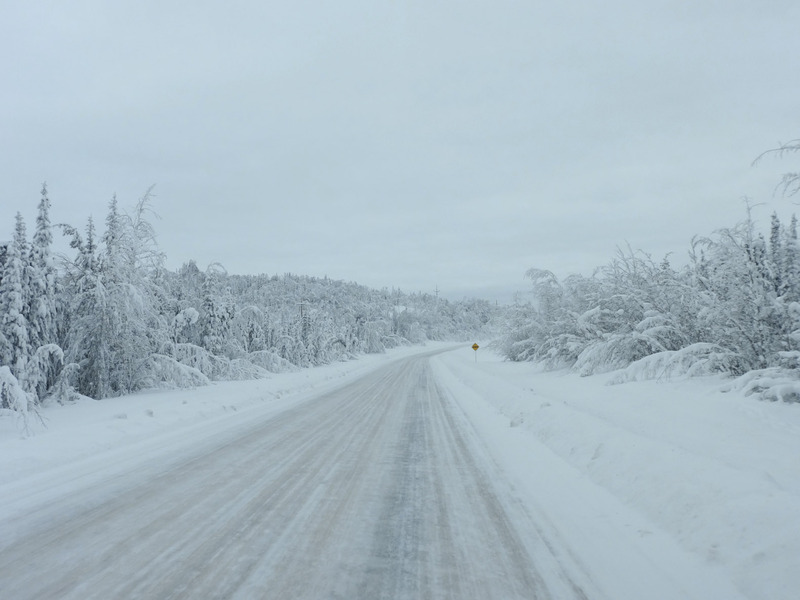 While that is a relief temperature-wise, it might also lead to the dilemma of finding the appropriate clothing (number and composition of layers) and also might lead to a softer trail which can become very cumbersome to travel on. 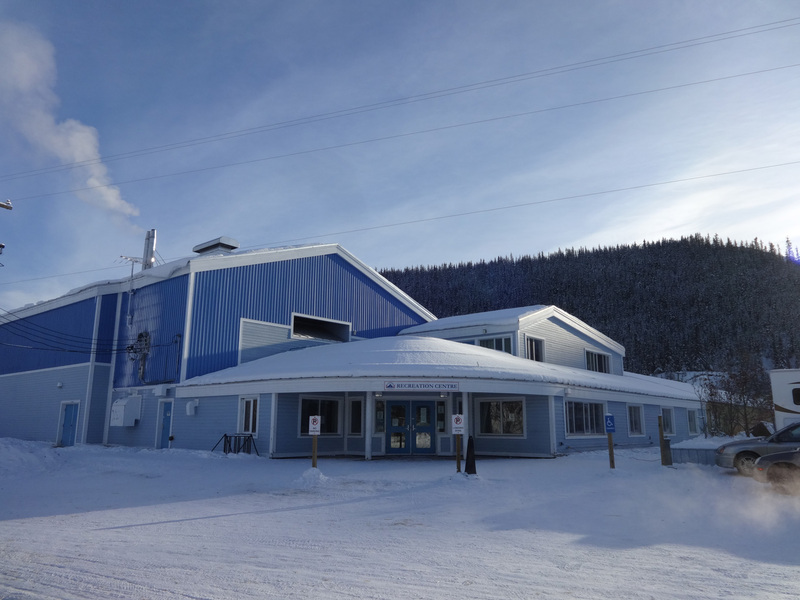 The previously very low temperatures have taken their toll also on the study-participants: so far four had to scratch leaving four to be still in the race to reach the finish in Dawson City. 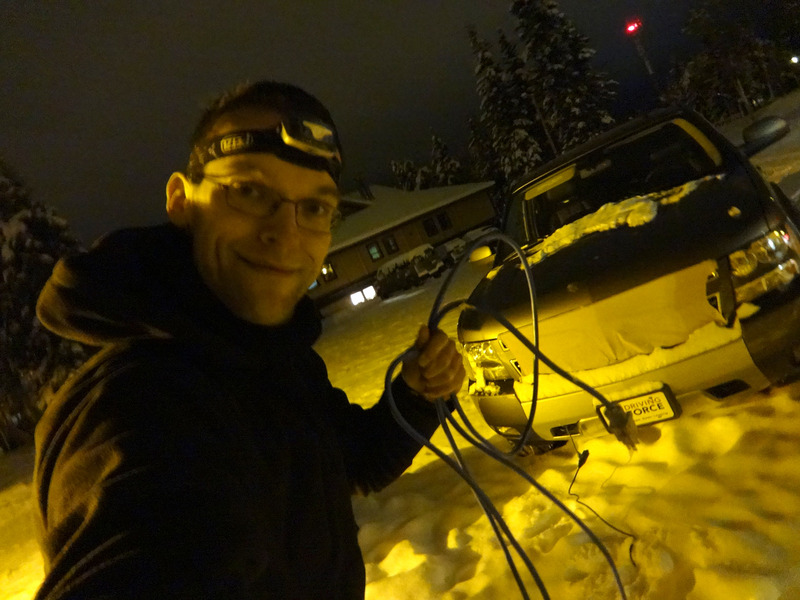 Dr. Steinach at checkpoint Pelly Crossing – although a mild -19°C the car should be plugged in. 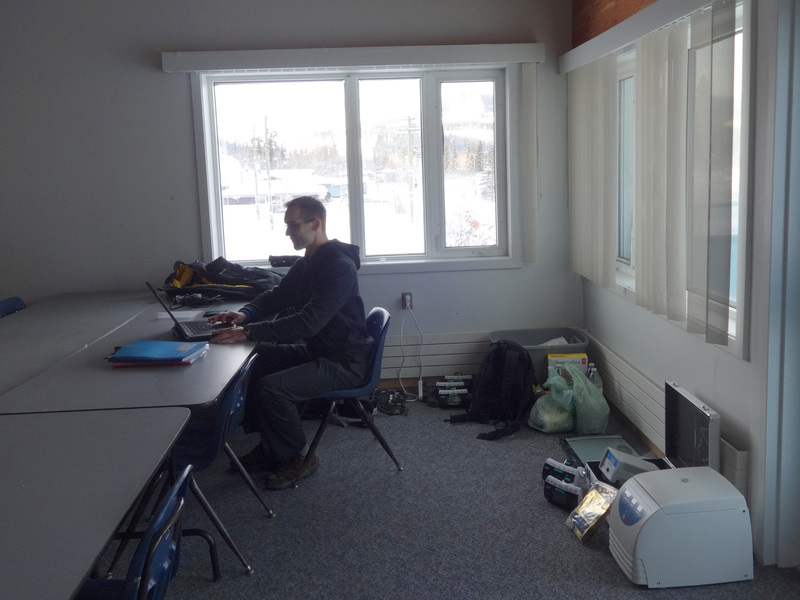 Improvised lab in Pelly Crossing-checkpoint. 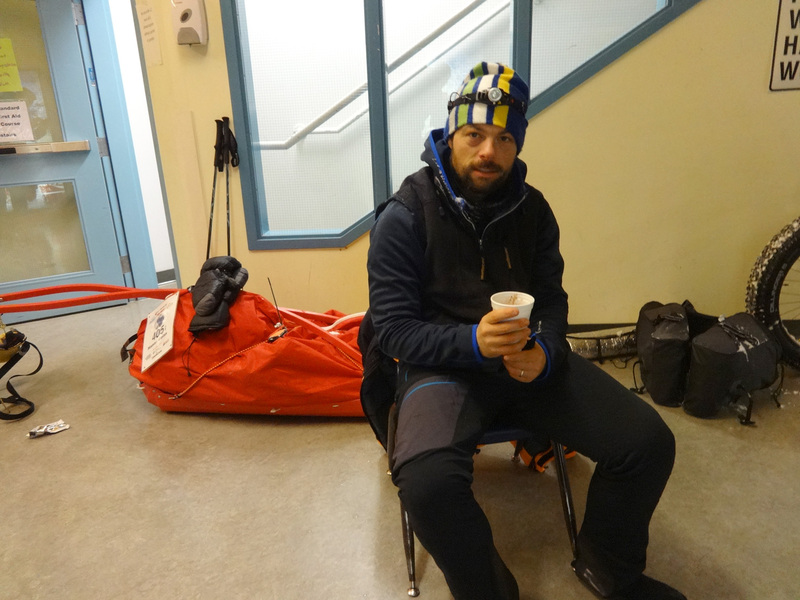 Hanno warming up with some hot cocoa and soup after having reached Pelly Crossing on February 13th at 07:53 a.m. The conditions remain extreme: last nights (Feb 10-11) temperatures dropped to a mere -50°C (-58°F) on the trail (you can basically forget the weather reports which do not resemble trail conditions). 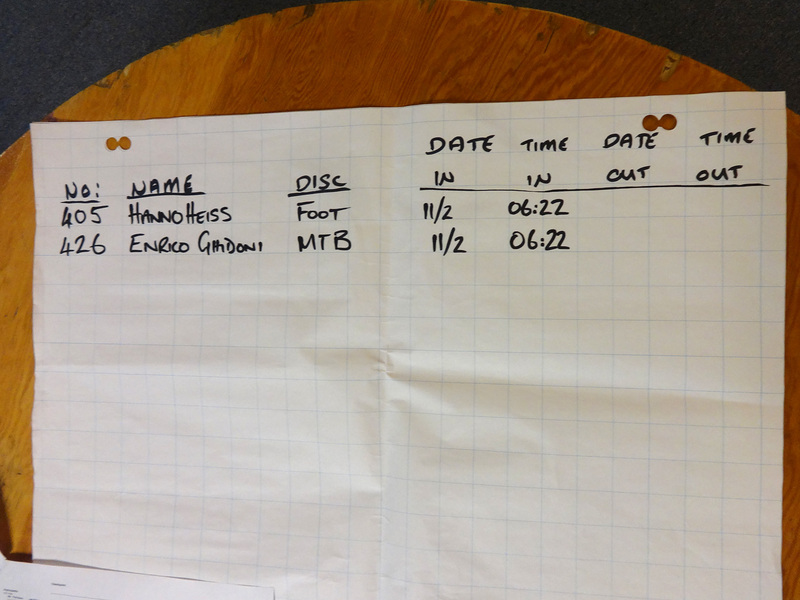 430mi-runner and study participant Hanno Heiss has reached the Carmacks-checkpoint as first of all race-categories and distances at 06:22 a.m. along with mountain-biker Enrico Ghidoni. 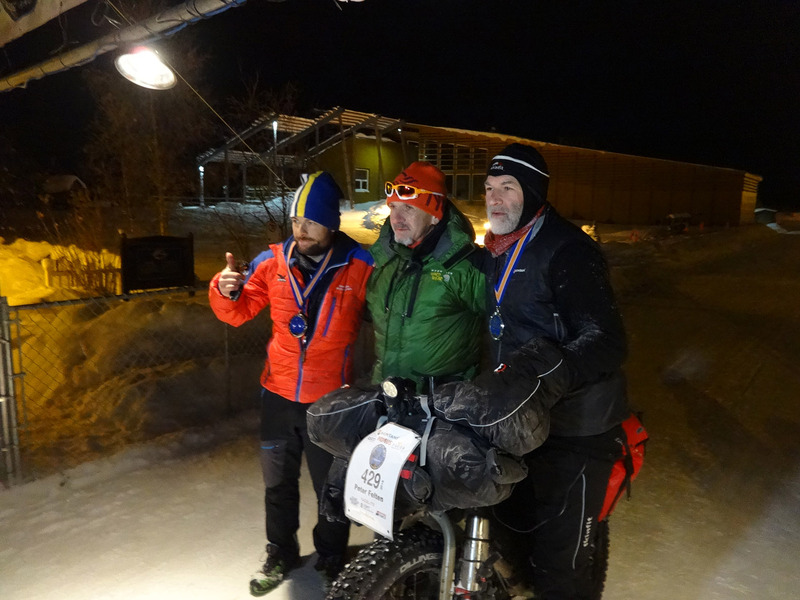 They completed the 179 miles in 68 hours which is equal to the very high speed of 63 miles per day (101 km per day)! After some hot cocoa the study-measurements were commenced. Dr. Steinach checking the trail-map. 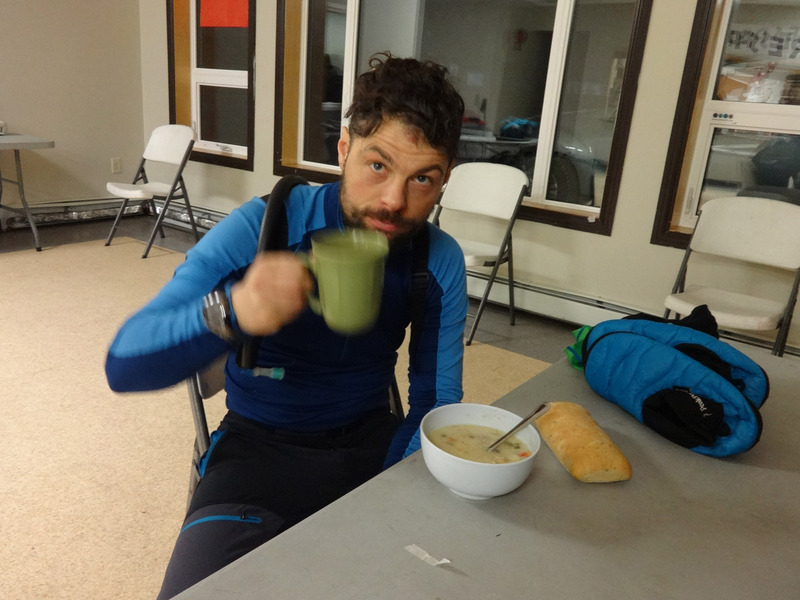 Hanno has reached Carmacks after completing 179 miles in 68 hours. 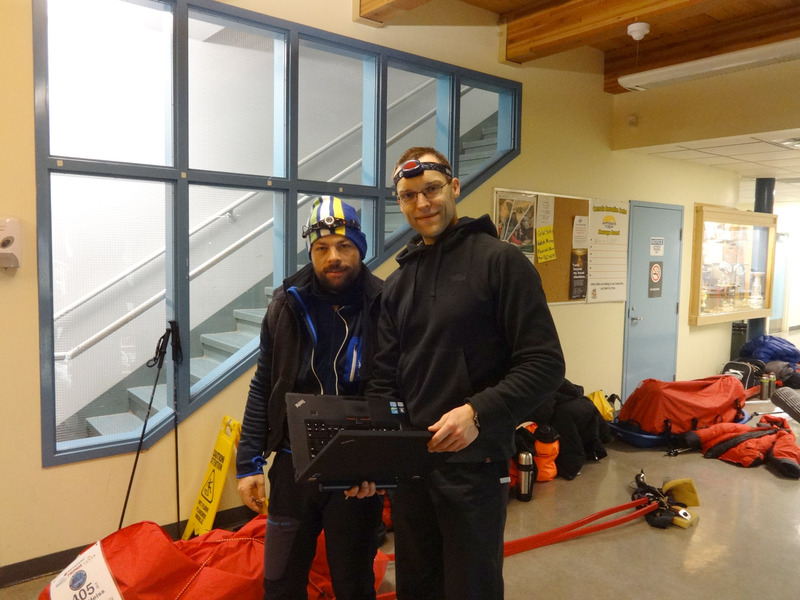 Hanno and Enrico celebrate their accomplishment of reaching Carmacks-checkpoint this fast. 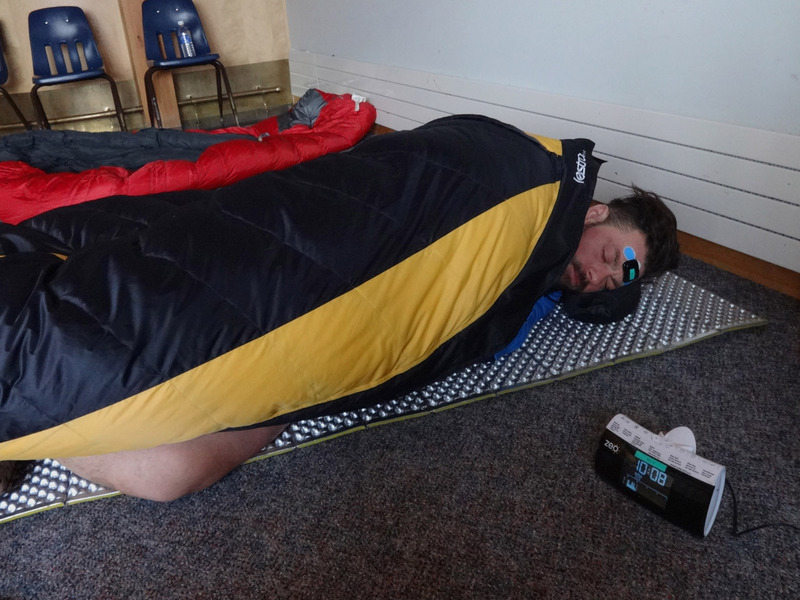 Conditions of this years Yukon Arctic Ultra are very difficult. 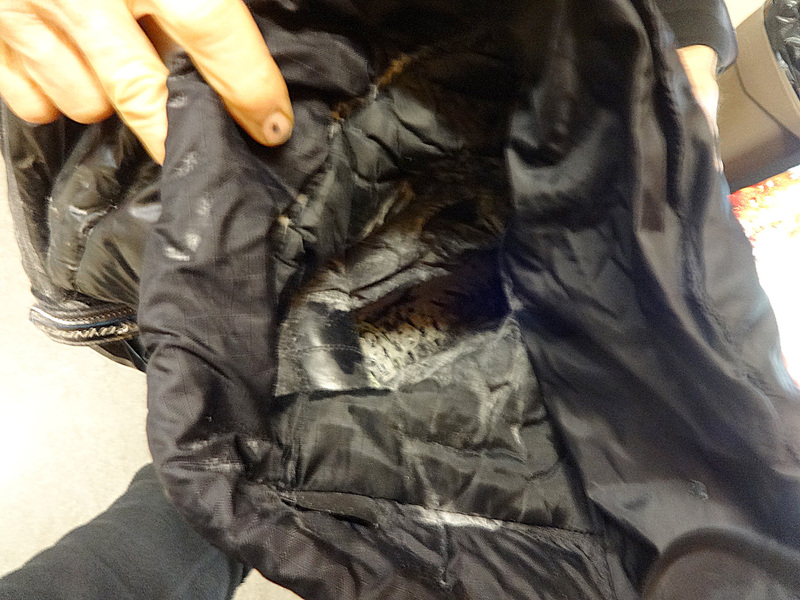 Temperatures at Carmacks-Checkpoint at night were at -38°C (-36°F) and reached a low of -45°C (-49°F) on the track. It is therefore not surprising that a number of participants had to scratch from the race. From a starting field of 71 athletes in the various disciplines (foot, xc-ski and mountain-bike), only 44 are still active (62%). However, only two of the eight 430mi study participants had to scratch, so 75% of them are still active. Keep your fingers crossed! Community-Center in Carmacks serving as checkpoint. 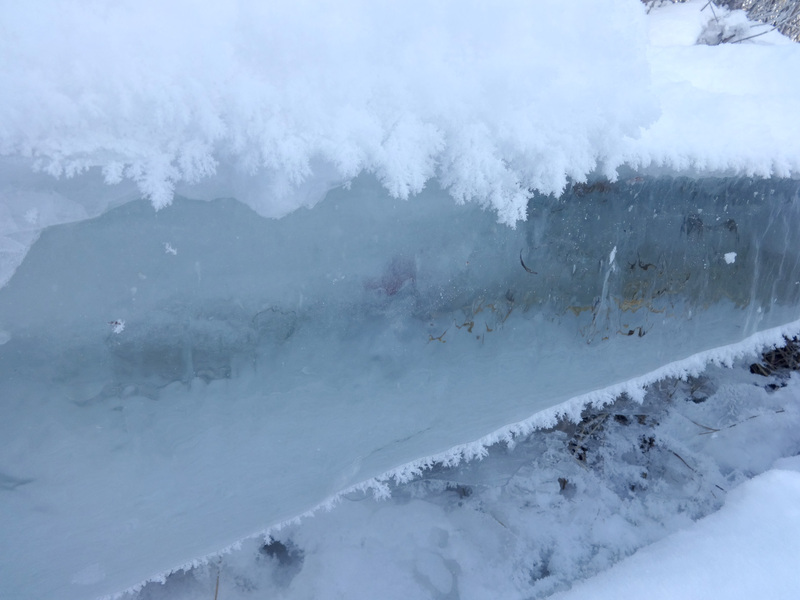 Ice-formations of the Yukon-river in Carmacks. Wherever you stop – don’t forget to plug in your car if you want the engine to start the next morning! 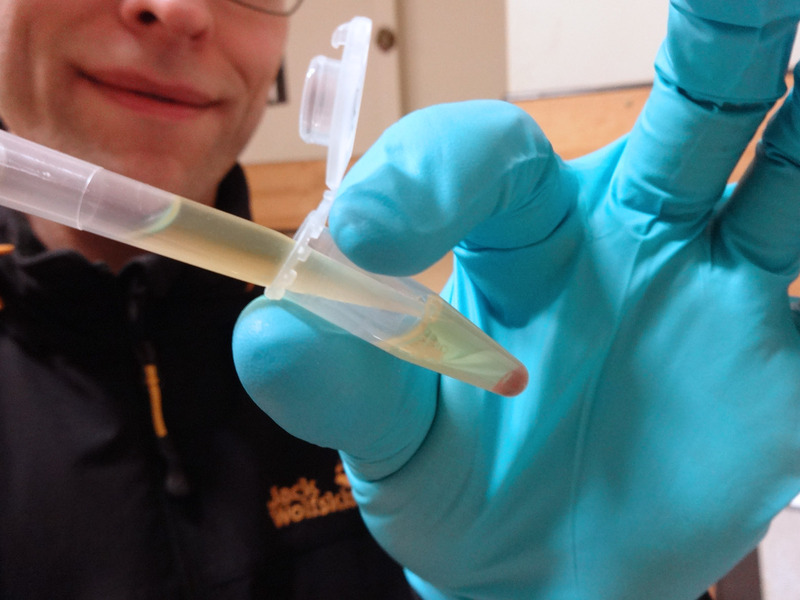 Dr. Steinach in the Community-Center with the lab-equipment. Although a scenic view, the suns apricity doesn’t help very much with the low temperatures. 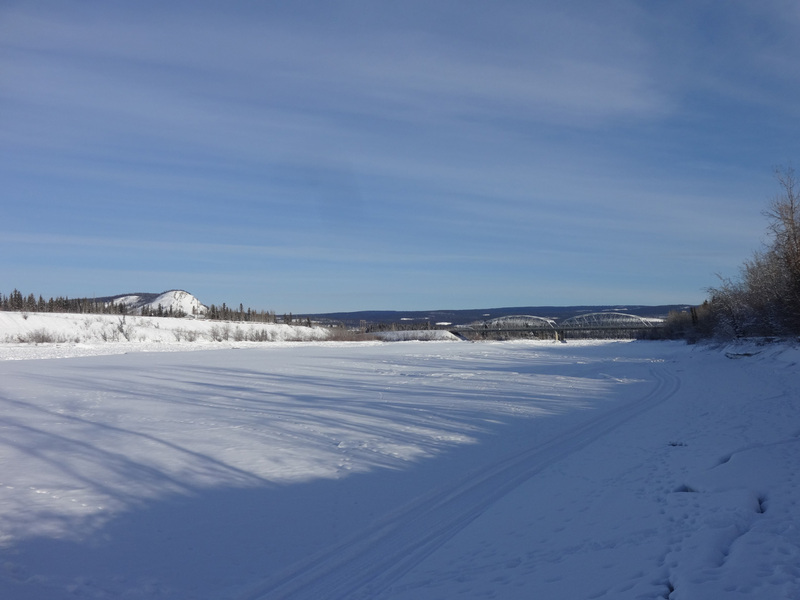 In the front: the actual trail of the Yukon Arctic Ultra along Yukon-river.